Boris Blacher (1903-75) got around a lot. His father was born in Reval (today’s Tallinn), worked in management of a German-Russian bank and as such was sent travelling around the world. Young Boris was born in China, lived in Russia and Manchuria; then, as a young man, after stops in Shanghai and Paris, he ended up in Berlin, which in the 1920s was one of Europe’s, if not the world’s, most colourful metropolises. He stayed, studied architecture and maths, then music, and made ends meet composing commissions and accompanying silent film on the piano. After World War II, he became professor of composition, then head of Berlins Hochschule für Musik and was considered one of the most versatile personalities in new music in Germany. Influenced by Schoenberg, Hindemith and Milhaud, the worldly Blacher retained profound musical wit and artistic openness, thus safeguarding his work from the hermeticism that makes much of the music of his contemporaries accessible for specialists only. “Three years ago, Boris Blacher’s piano music was a new discovery for me,” says Swiss pianist and composer Manuela Keller. “Its lean style, its unconventional rhythm and barren beauty appealed to me immediately and inspired me to dedicate the second Idée manu CD to him. He left a large oeuvre comprising almost all musical genres and also had an interest in jazz all his life. He developed a ‘system of variable metres’ to break musical form and rhythmic symmetry with numerous, arithmetically structured metre changes. Krebs, Sberk, Dugong and Prélude 16 are typical examples of this technique.” Those are four out of 16 compositions that Manuela Keller got her teeth into, both as a soloist and in a quartet with trombone player Nick Gutersohn, bass guitarist Jan Schlegel and drummer Marco Käppeli. Three are written by Keller, the other ten are adaptations, some more subtle, others more extensive, of models from Blachers late 24 Préludes for piano, his piano cycle Ornamente and his Second Sonatina. 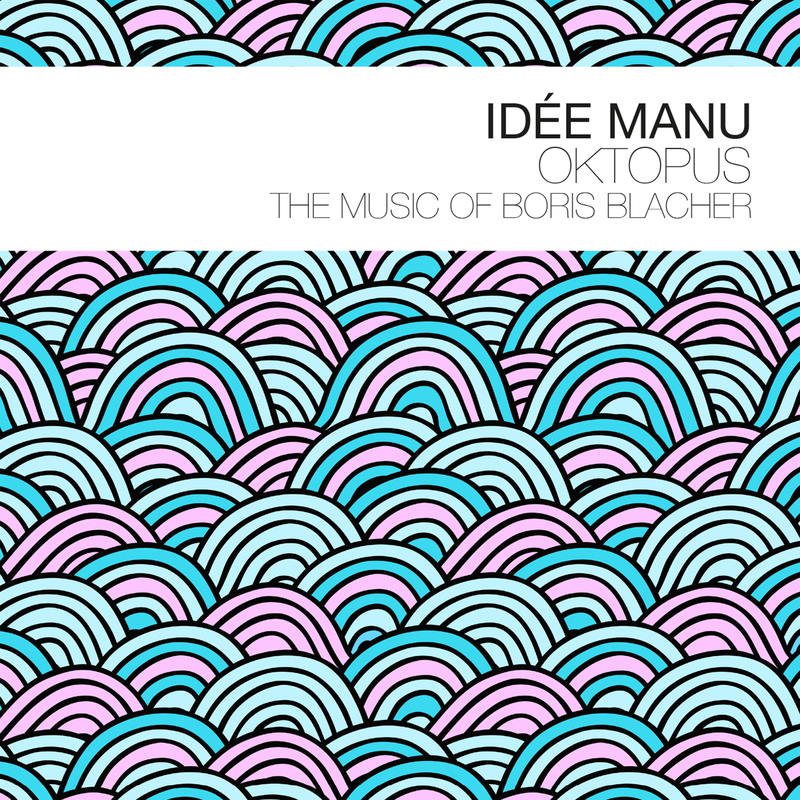 Thus, Idée manu’s second album after Water Chute (2010) fits perfectly into the programmatic line of Between the Lines, focusing on sound projects crossing styles and genres between improvisation and composition. Recorded in September 2016 in Winterthur, the music continues Keller’s musical collaboration that originated in 2003 from the electro-acoustic duo with Nick Gutersohn and was extended to Idée manu the following year. Compelling coupling of open and through-composed artistic possibilities, of sonic freedom, acoustic effect and compositional steering of the variables form the heart of the concept. In this light, the connection of Keller and Blacher is a liaison of likeminded artists, as, in the end, it is about finding a surprise in the well-planned. Idée manu does exactly this, all in the sense of the ever-curious Boris Blacher, with winking seriousness. "All in all, this is extremely intriguing music that fascinates from start to finish."